The program of GECO handguns cartridges has been expanded continuously and consistently oriented to the needs of users of handguns. The GECO pistol cartridges range has been adapted in recent years to the needs of our customers and extensively extended. 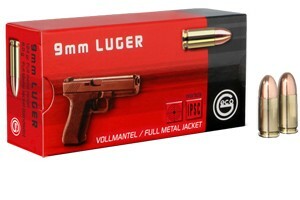 Currently provides GECO cartridges in nine different calibers of 17 calibers. These cover all relevant areas of application, such as precision shooting, Dynamic Sports disciplines Hunting protection and self-defense.